The Broadway Musical Wicked tells the untold story of the Witches of Oz. So much happened before Dorothy dropped in. Long before that girl from Kansas arrives in Munchkinland, two girls meet in the Land of Oz. Elphaba – born with emerald green skin – is smart, fiery and misunderstood. Glinda is beautiful, ambitious and very popular. 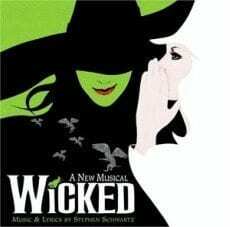 The show follows Glinda and Elphaba through childhood, college and after. It is, quite literally, a prequel to the “Wizard of Oz” and will give the timeless movie classic a whole new meaning for you. You’ll have to see the Broadway Musical Wicked to understand why Elphaba wanted Dorothy’s Red Shoes so badly. I bet you’ll be surprised and thrilled at the answer. One of my all time favorite musicals (on par with original casts of Phantom of the Opera, Chicago, Les Miserables, Annie and other classics). Wicked is a true Broadway Musical in every sense! In 2004, Wicked was nominated for 10 Tony Awards (that’s amazing!) and won 3 (Best Performance by a Leading Actress in a Musical – Idina Menzel, Best Costume Design and Best Scene Design). 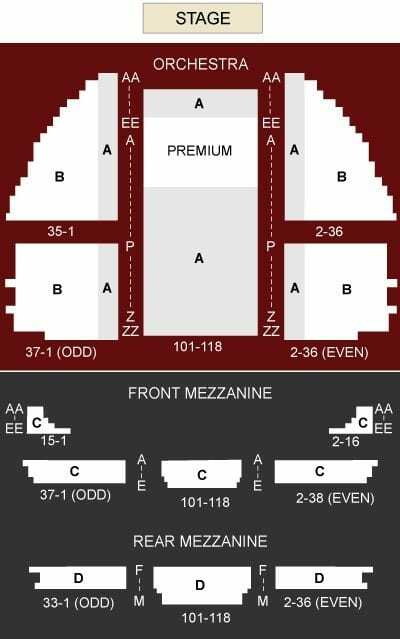 Good seats are important, spend for the first two tiers, Orchestra or Mezzazine. Great seats are not crucial, but they will make a difference in your experience of the show. If you are visiting with girls (8-25), this is the ONLY show you should see. With just boys, it’s a toss up – possibly Lion King or Aladdin. With both boys and girls, Wicked will likely appeal to all. Based on Gregory Maguire’s novel, Wicked, which turned every Oz myth inside out, the Broadway Musical Wicked explores the early life of the witches of Oz. The two main characters meet at Shiz, a school where both hope to take up sorcery. Glinda is madly popular and Elphaba is, well, green. By a misunderstanding, they wind up roommates and, after an initial period of mutual loathing, begin to learn about each other and their related family history. 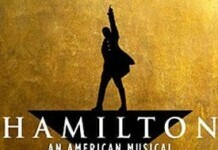 The characters, dancing, singing, stage design and costume are some of the best I’ve seen on Broadway. The show flies by, you won’t even know it’s been almost 3 hours. The Broadway Musical Wicked is an ideal way to spend any 3 hours in New York City. In short, the Broadway Musical Wicked is a must-see if the storyline appeals to you even in the slightest. One thing I need to tell you about the Broadway Musical Wicked, is I am totally biased. As you may read on the Broadway Shows page, I went to school with Idina Menzel, the original Elphaba (that’s her in green below), who won a Tony Award for her role in Wicked. I’ve been listening to her sing since we were 13, so it was a thrill (and no surprise) she won a Tony Award. Idina, and another high school friend, Adam Pascal, were also in the original RENT (both Broadway and Movie) casts. That said, I have not seen a single bad review of Wicked, and it is the hottest Broadway show in NYC for over 10 years. As far as I know, there has not been any major discount or half price tickets offered for the Broadway Musical Wicked since it’s inception, but you can still get some deals! For price comparisons, check the Wicked Website directly for prices, times and schedules.